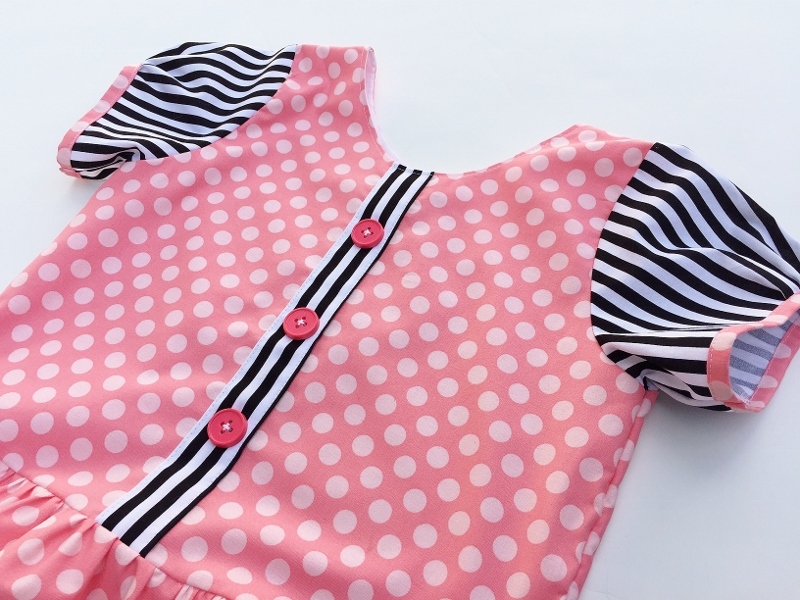 I am so excited to show you what I did with the Polka Dot Peplum Top Pattern by GYCT Designs! It’s not a big transformation at all but I just love to add little things like embellishments or fabric pieces, buttons etc. to make a piece of clothing a bit different sometimes. 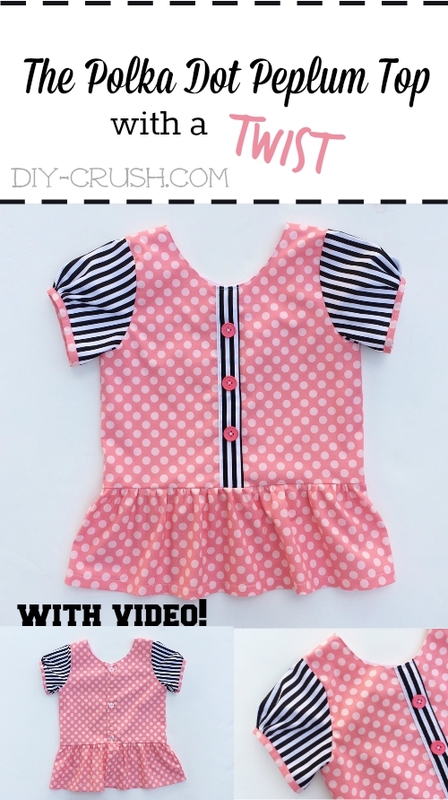 See how I made a faux button placket! She likes tops and jeans. 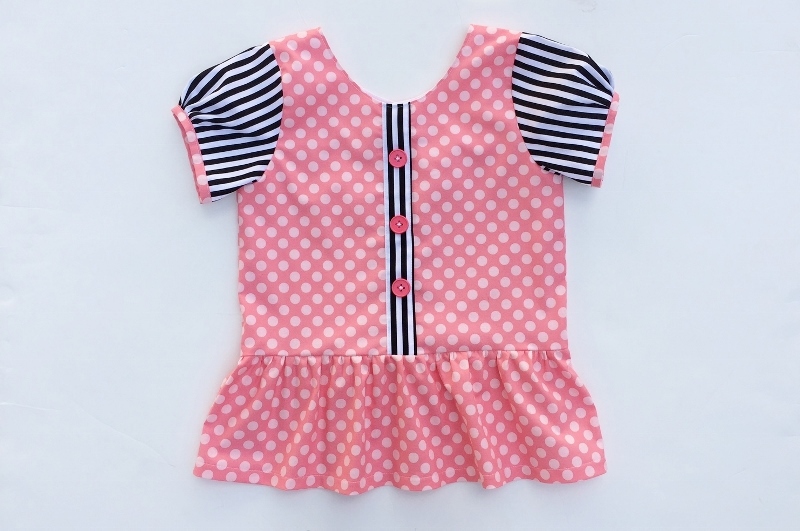 So I thought I’ll make her this adorable Polka Dot Peplum Top Pattern by GYCT Designs. It’s actually pretty simple but has cute features like the puffy sleeves (which I ended up not making after all), the cute little peplum ruffle and binding on the sleeves which could be made to match the ruffle but I had different plans. Besides, this top is lined and the tutorial is written very well with many sizes and great pictures. All in all a beautiful pattern for dressing up or down. I chose two of my all time favorite fabrics which have dots and stripes! YES, I love dots and stripes together! Can you blame me? Both prints are from Michael Miller Fabrics. 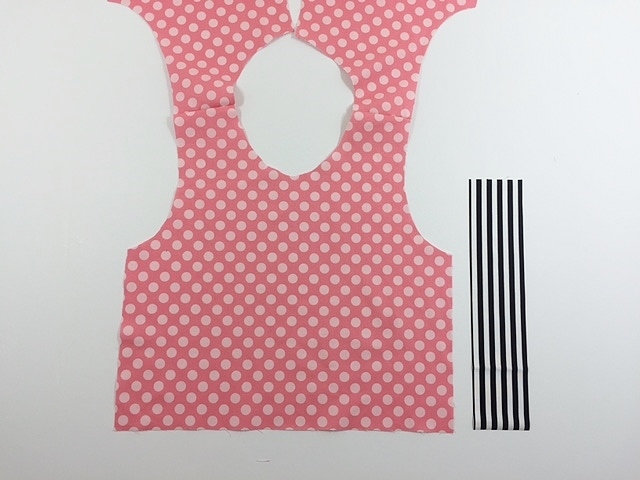 The main fabric is ‘Ta Dot Polka Dots Fabric with 1/2 inch Petal Light Pink on Medium Pink’ and the stripes print is ‘Clown Stripe in black/white’. Ready to make this CUTE top with me today? Fold the long edges in towards the center of the strip (right sides out) and press in place. 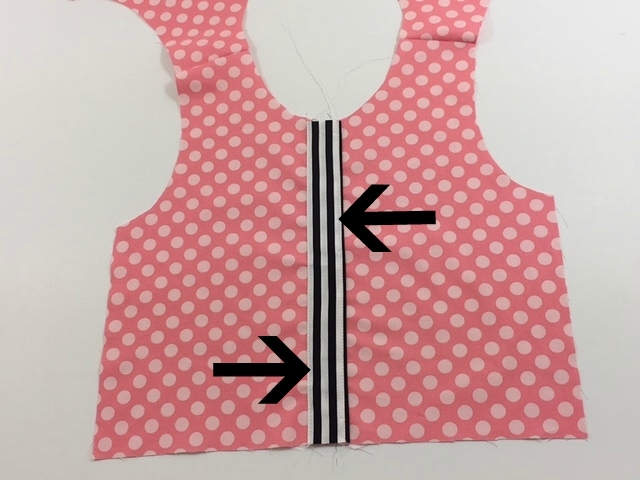 Then place the strip with folded edges down onto the front bodice’s center and pin in place. With a straight stitch sew the strip down along the long outer edges. This is the finished peplum top. It’s a beautiful pattern that allows for customization! The outcome is a pretty amazing girly top that looks great with jeans or skirts alike. Perfect for her back to school wardrobe! Ready to make this pretty top yourself? Click HERE to go to the pattern link. I hope you like this tutorial and will check out the other free craft tutorials! This is so adorable and looks fairly reasonable to do as well! I love the looks of the end result. Thank you so much for visiting, Jennifer!! I am always amazed at the adorableness of all your projects. I love dots and stripes together too, any girl would love to own this top. Your daughter is so lucky that you’re her mom. Awe, thank you SO much!!! I so appreciate your lovely comment! I love this top!!! I love the polka dots and the stripes! And I also really like the faux button placket! Too cute! I’d love for you to stop by the Submarine Sunday Link Party to share this crafty creation! I hope to see you there! Thank you so much for visiting!!! I appreciate it! So adorable! I love the mixture of the polka dots and stripes. Thank you for sharing at Merry Monday! That would totally be doable with a ladies pattern! 😉 thanks for visting! Really cute top!! Thank you for sharing at Home Sweet Home! This shirt is so adorable and I just love the Polk Dots and I like you sowing us how to make one of our own. Thanks for the tutorial. Pinned & shared. 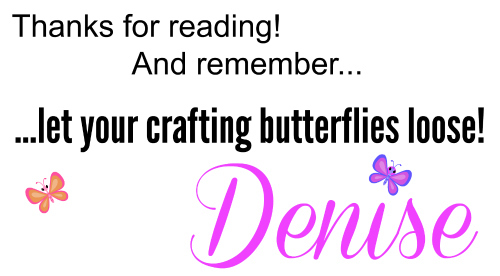 Hope to see you again soon and thanks for joining the Inspiration Spotlight party. That is so adorable. I love the fabric combinations. Thanks for joining The Gathering Spot last week. Hope to see you again this week. 🙂 Happy Labor Day! Hi Diane! Thanks so much for visiting!! Happy Labor Day as well!